I've made some masculine tag cards last weekend on a crafting day at a friend's house. The great thing about crafting with friends is trying out their stash! 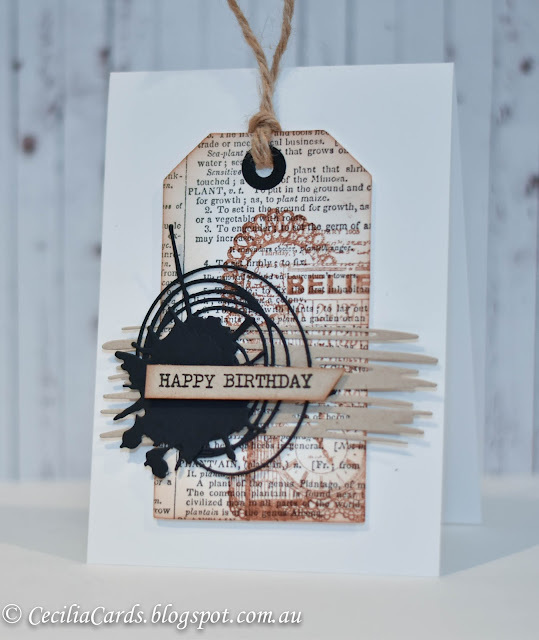 There were a few of us madly die cutting this great set from Tim Holtz - Scribbles and Splat. Our host kindly passed everyone three tags and I thought it would be great to combine the die cuts with the tag for a masculine card. (I never seem to have enough!) I'm adding this card to Simon Says Stamp Monday Challenge - Masculine and Wednesday Challenge - Anything Goes. Thanks for dropping by!